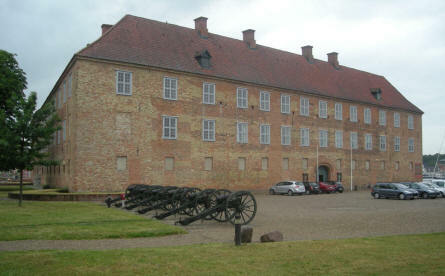 Sønderborg castle is founded in 1170 - and modernised a lot of times during the first 500 years. The castle has an interesting history as this part of Denmark have been a part of both Denmark and Germany throughout the history of this castle. 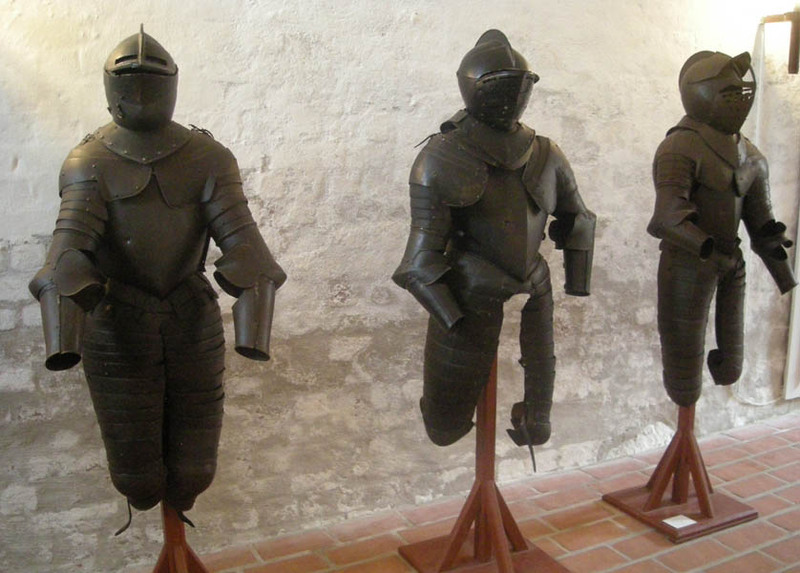 Today the castle is a museum with a large and very mixed collection. 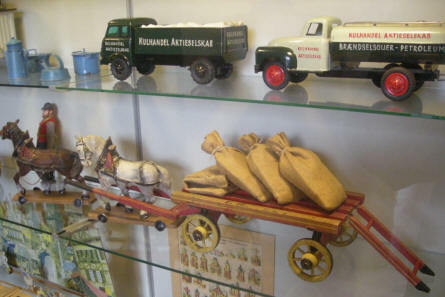 The museum show the regional history, the military history of the area, World War II history, toys, art and much more. Sønderborg Castle - with a row of canons in front of it. 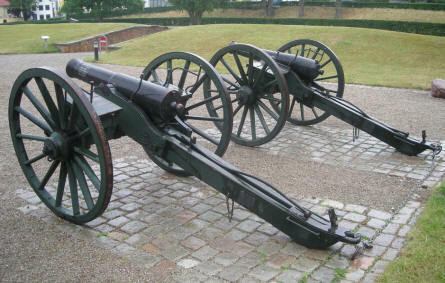 Many of the canons outside Sønderborg Castle were used during the 1864 battle at Dybøl between Denmark and Germany. 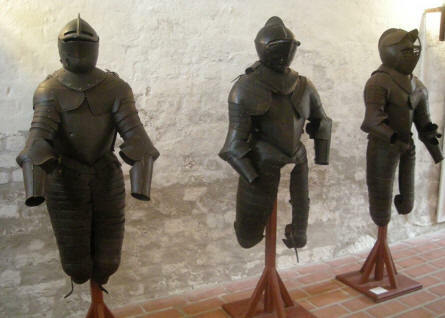 Old knights armour at Sønderborg Castle. 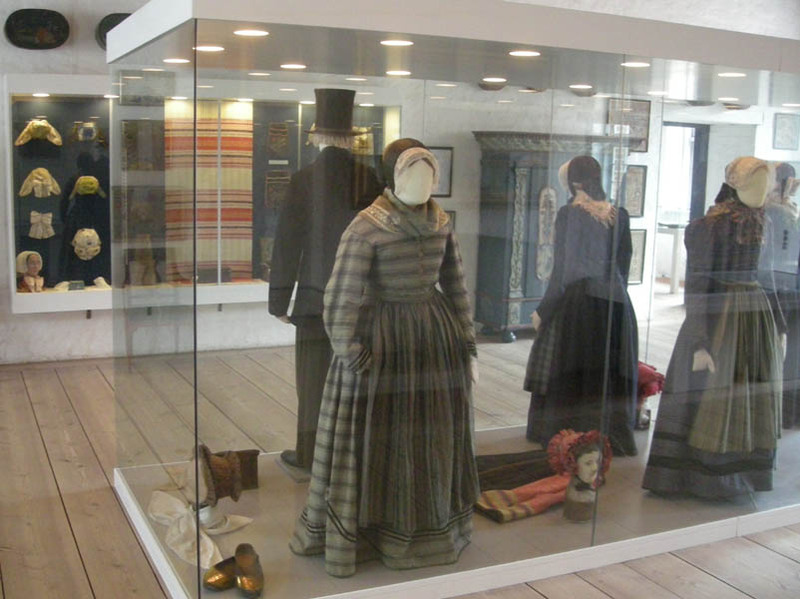 a part of the regional heritage collection at Sønderborg Castle. a part of the toy collection at Sønderborg Castle. 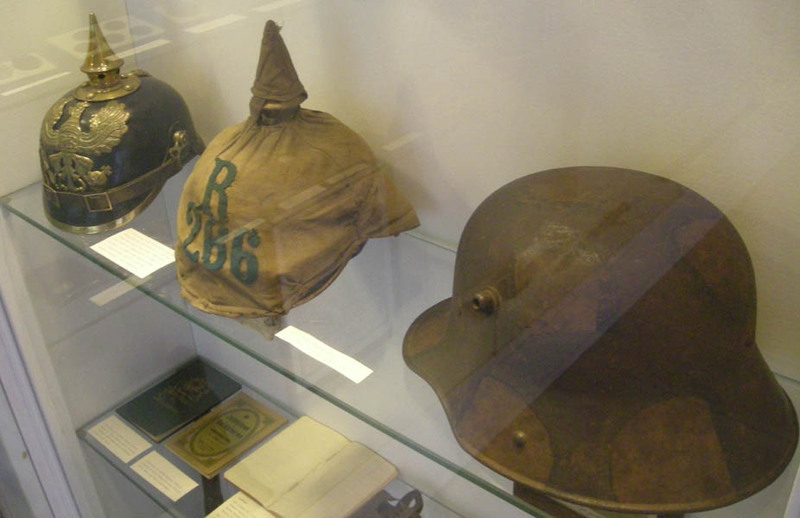 German military helmets - a part of the military collection at Sønderborg Castle.